The Department of Transportation took a big step in October of last year by inviting state and local governments to partner with universities and companies on tests to speed drone integration into the national airspace. The FAA is set to review 149 proposals and plans, and to choose 5-10 in May. Companies have been approaching governments in developing countries about medical drone deliveries. Zipline, a San Francisco Area-based robotics company, set up distribution centers in Rwanda, where drones have made more than a thousand flights of on-demand blood and emergency supplies. 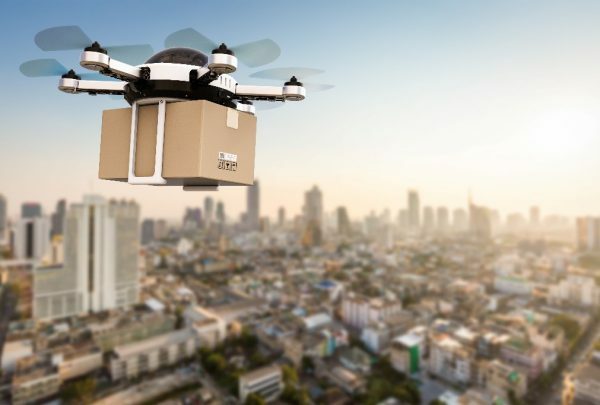 The Swiss Post launched a medical transport network in the fall of 2017 using drones made by Matternet, where they make 5-15 deliveries a day. Drones can play an important role in transporting lab tests to help doctors diagnose infections with timely results—reducing the guesswork for prescribing medicine. Ultimately, the success of the proposal will depend mostly on a drones’ reliability to fly safely alongside commercial jets, helicopters, and everything else in the airspace. This entry was posted in Drones and tagged Drone Delivery.